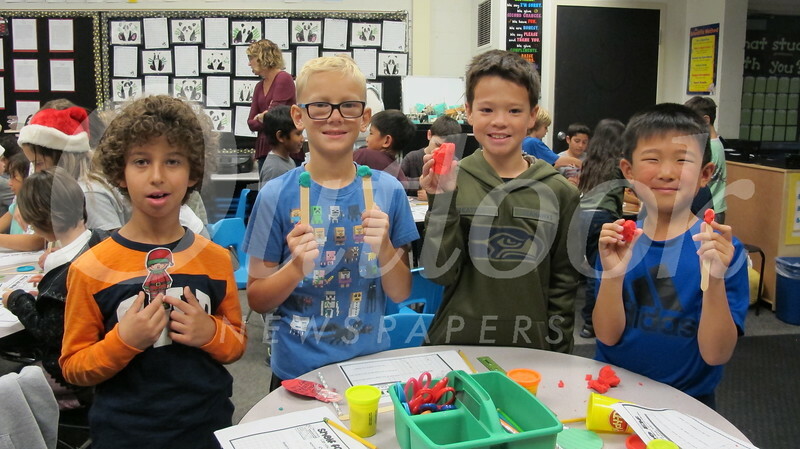 La Cañada Elementary School 4th-graders from Laurie Hopkins class joined their 2nd-grade buddies in Karen Gilmour’s class to continue the long-standing tradition of the elf on the shelf. The buddy team was tasked with making a shelf for their elf, but they could only use tongue depressors and playdough. They had to collaborate, use their engineering skills to come up with a design and test it. In the end every team had successfully built a shelf for the elf to sit on.